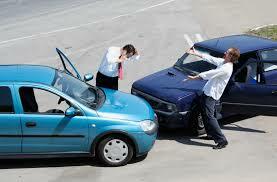 Being involved in a car accident can be traumatic. Typically, that last thing you want to think about immediately following an accident are the legal and financial ramifications because they may be stressful. Contacting a personal injury attorney right away can alleviate some of this stress. At Van Norman Law, we understand that you may be overwhelmed by the damages to your car and any possible injuries that you may have suffered. That is why we strive to make the process less burdensome for you. Here is a short action list to follow at the scene of a car accident. After an accident, the safety of you and your passengers should always be your number one concern. Make sure everyone in your car is responsive and is able to move. If they are not, immediately call 911. If everyone is okay, move the car out of traffic if you are able to do so. If you can get out of the car, move safely to the sidewalk and call 911. When the authorities answer your call, they are going to have a number of initial questions. Try to answer their questions clearly and precisely. Your location is the most important piece of information you can provide. They will arrive as quickly as they can. In the mean time, if the driver/passenger of the other vehicle needs aid, help them if you are able to. Once everyone is safe and the authorities have arrived, gathering information becomes extremely important. If there were any witnesses, ask them politely to provide statements and ask them for their name and phone number. Do not become aggressive. If they decline to offer a statement, you can ask them for their contact information instead. Don’t forget to take pictures. If your camera of choice has a timestamp feature, use it. Get close ups of all the damages and take wide shots of the entire accident scene. Try to get pictures from as many angles as possible. Note the details of the accident, such as the weather conditions, traffic, and how the accident occurred. Before you contact your insurance provider, you should contact a legal professional who has experience with personal injury claims. It is important to reach out even if you don’t immediately feel injured. You must then report the accident to your insurance company and the other driver’s insurance company, however, DO NOT give a recorded statement to the opposing insurance company. Also, be sure to keep track of your injuries and the expenses you incurred because of the accident. If you have any further questions, please contact Van Norman Law at your earliest convenience.